There is a breed of young Rwandan executives pushing the boundaries. They are pushing really hard. They either are helping put money in people’s pockets to pay their bills or they are running institutions with minimal resources, but delivering tangible results. They provide the leadership to get things going. The largest majority are running start-ups and others are running government agencies. One common denomination they share is that all the businesses and institutions they run are proudly Rwandan and inspired by Rwanda’s story of seeking a meaningful transformation. Almost all of them began from humble backgrounds, but have grown modestly to become both world class executives and efficient executors. Their role in the economy and the society in general is vivid. Rwanda’s tremendous economic growth over the past few years can be attributed to one thing; “It’s people “ according to the CEO of Rwanda Development Board Clare Akamanzi. “Rwanda is ranked 2nd easiest place to do business in Africa, 2nd fastest growing economy in Africa. And it takes just six hours to register a business (fastest in Africa) and that’s by design not by accident,” she says. The aspirations to create a middle class economy is indeed driven by, largely, energetic and passionate young Rwandans with limitless zeal. We are here to appreciate these executives,small and big, but particularly the next generation of C-level executives that are driving Rwanda’s ambition to realise 2050. Taarifa has teamed up with Sobek Communications, a digital campaigning boutique based in Kigali, to recognize Rwanda’s top 50 C-suite executives. 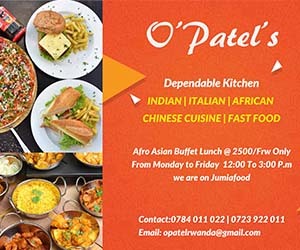 The term C-suite also called “C-level executives,” usually refers to the titles of top senior executives which tend to start with the letter C.
Rwanda’s C-Suite landscape project aims at shining a light on young business executives and entrepreneurs who are contributing to the growth of their sectors and the economy as a whole, through creativity, innovation and excellent leadership. It also includes those with similar roles in government institutions. In our research, we unearthed a pool of selfless individuals who are leading fearlessly. Strangely, but celebrated, the majority of the C-suite executives are female under 35 years of age. Each and every one of these executives has had a personal journey that led them to the pinnacle of their industry. Notably, we found out that their commitment to excellence and hard work was a common element they shared. Candidates were initially identified by Sobek Communications. The criteria used for nominees included them holding a senior position, having a sphere of influence within their organisation or across a community and driving progress in the sector outside of their professional roles. This is not to mean the rest are lesser or not capable. Instead, the top 50 exhibited extraordinary output within their means, which is out there for everyone to judge. We could have gotten it wrong, but here below is our list. CENTURY REAL ESTATE was born of a merger of two previously existing real estate agencies. The main reason for this combination wasn’t any other but to try and reach out more effectively to the ever-growing consumers of professional real estate services. AC Group Ltd is a company providing smart transport solutions like Tap&Go for public transportation in Kigali, Yaoundé, Douala and expanding to other cities in Africa. HEHE Ltd. develops mobile technologies for brands to elevate their service delivery. Its technologies allow businesses to empower their customers to reach them directly and on-the-go; manage remote, part-time, and mobile workforces anywhere in the world. Kasha is a mobile store built specifically for women in Africa, offering health and personal care products such as facial creams, sanitary pads and contraceptives. Using Kasha, a woman can confidentially order products using any type of mobile phone and receive direct delivery. It is a social business, working to serve women at all socioeconomic levels sustainably. Imagine We Rwanda is an organization that was born in 2015 with the passion to change the reading culture among children and youth in Rwanda, and give a voice to young authors. We believe that all stories are beautiful and worth sharing with the world. So, why not start with our own communities. PesaChoice is a financial technology company based in the United States. With over 25 years of experience in software development space. Three Rwandans sought out to start PesaChoice to provide much needed solutions in the financial technology sector in Africa. Using their experience in software development, the three founders build a robuts platform with an Enterprise Serial Bus(PesaBus) at its core. PesaChoice team has grown to 14 full-time employees with various experiences to enhance the team and make this dream a reality. IRIBA WATER Group provides affordable and safe drinking water to rural communities extracted from Lake Muhazi, two swamps, and another natural water source called Kazabazana. Uzuri K&Y is an African inspired eco-shoe brand established in Rwanda since 2013. Within five years, they have made a direct impact on over 750 people through skills and employments. They were awarded the best “Made in Rwanda” enterprise of the year 2017 by the Rwanda Development Board. Rugwizangoga serves as the Chief Executive Officer of Volkswagen Mobility Solutions, Rwanda at Volkswagen AG since March 2018. She served at Imbuto Foundation as its Project Officer – Innovation Accelerator. 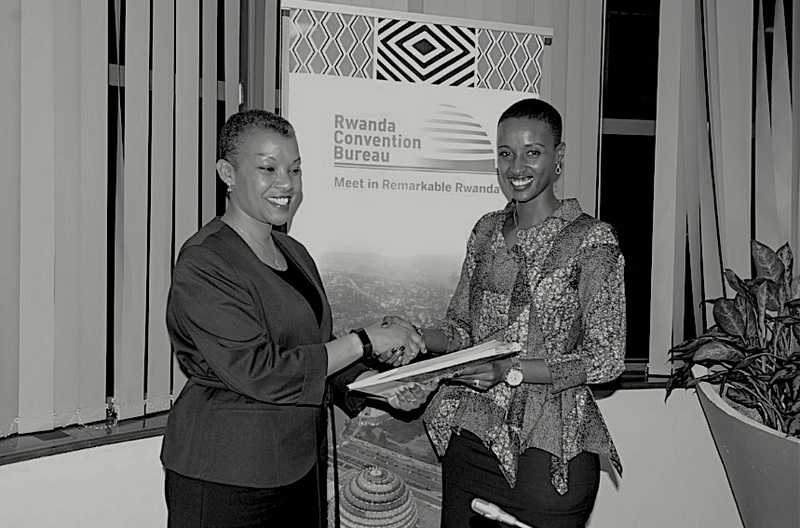 She has also worked with Village Group and RDB, Rwanda Development Board. Karisimbi Wine is a Rwandan based wine that comes in 3 favors; beet root, pineapple and banana. Uwamariya is the founder of Karisimbi Wines, a company she established in 2016 after years of being unemployed and doing casual jobs that didn’t give her enough money. It was while working one of such casual jobs with a German-funded project in Musanze District of Rwanda, that her attention was drawn to the economic benefits of fruits. Sonia Mugabo (SM) is a Rwandan fashion brand that was established in 2013. It was born out of her strong interest in design; and her desire to tap into the existing local artisan talent to make high quality men and womenswear. The brand made its first showcase in October 2013 at the Kigali Fashion Week, and attracted media coverage and market interest, confirming the need for its presence in Rwanda and Africa. Since then, the Sonia Mugabo brand has tapped into a demand for quality bespoke garments, receiving orders from middle and high-class women who were willing to pay more for better quality. Sonia Mugabo develops two collections each year, and throughout the year makes bespoke items for its clientele. Habona Ltd. is a company registered in the Republic of Rwanda that is dedicated to providing various products of cost-effective, renewable energy sources that are extremely beneficial in the face of Rwanda’s severe energy crisis. The company’s offerings include biogas for household cooking and lighting, biomass briquettes, and bio-fertilizer for farmers. Habona also provides consultancy and maintenance services regarding integrated waste management and energy solutions, and continued research and development of environmentally friendly solutions. Drakkar Ltd is a Rwandan company that supplies books to schools, higher educational institutes, teachers, students and other customers in need of learning books. Drakkar was founded in 2006 and is Rwanda’s exclusive distributor for Pearson, the leading publisher for English language school books worldwide. In addition, Drakkar sells trade books, mass market paperbacks, children’s books and bargain books directly to customers. In 2012 Drakkar Ltd founded the Drakkar Foundation, which is a non-proft organization doing projects within education, entrepreneurship and environment. Inkstain is a creative company that creates different illustrations for different institutions. They also create design concept and implement them, mostly for print, web and video. IGIHE Limited is a private Rwandan company with a vision of becoming a regional multimedia powerhouse specialised in providing media and online multimedia services, public relations and communications consultancies. Inzuki is a dynamic Rwandan brand specializing in Jewelry, Accessories and Interior decor hand-made primarily from Local materials. All products are Rwandan Made, African Inspired and Globally Loved. Their products are a fusion of traditional craftsmanship and contemporary style. Their design philosophy transcend traditional Rwandan design and customize it to suit modern needs. Inzuki works with numerous local artisans that use their skills to translate our authentic designs into vibrant quality pieces. Inzuki is part of a wider Rwandan cultural Renaissance greatly inspired by the growing innovation scene in the country and by the increasing number of young entrepreneurs and trendsetters that are propelling Rwanda to the next level. She began her career in 2004 in Geneva, Switzerland at the World Trade Organization (WTO) headquarters. The government of Rwanda appointed her as a diplomat/special trade negotiator at the WTO. Later, she transferred to the Rwandan embassy in London, the United Kingdom as the commercial diplomat (commercial attaché). She returned to Rwanda in 2006 and was appointed Deputy Director General of the then Rwanda Investment and Export Promotion Agency (RIEPA), before RDB was merged with other institutions in 2008″. In 2008, Akamanzi became the Deputy CEO responsible for Business Operations and Services, at RDB. She later transitioned to being the COO of RDB. She then took study leave to pursue graduate studies in the United States. When she returned, she served as “Head of Strategy and Policy” in the President’s Office from where she was appointed CEO of RDB. Before his appointment as CEO of RIC, Muhire started and ran Mergims, a financial technology firm facilitating diaspora remittances to African countries. RCI is a public company under the Ministry of Foreign Affairs, Cooperation and East African Community in close collaboration with the Rwanda Governance Board (RGB), the Ministry of Defense and the Ministry of Finance and Economic Planning, that will manage (marketing and commercialization) the country’s home grown solutions. It was established by the Government to manage the exchanges of ideas and experiences with other countries in the interest of South to South Cooperation (SSC). She is an economist and public administrator, who serves as the Chief Executive Officer of the Rwanda Convention Bureau, a division of the Rwanda Development Board. Before that, she served as the Deputy Chief of Staff, in the Office of the President of Rwanda. And prior to that, she was a Senior Adviser to the Chief of Staff in the Office of the President. Before she came to the president’s office, she served as a policy researcher in the economics department in the Prime Minister’s Office. Salma Ingabire is responsible for general management of all aspects of local business including business strategy ,business development and portfolio management, matrixes management of functions to ensure each is aligned with global and regional strategies, government officials, Central Bank and other regulatory institutions, people leadership, compliance and control. In 2006, she joined MTN Rwanda, a leading telecommunications service provider in Rwanda. Over time, she rose through the ranks to the position of Chief Marketing Officer (CMO) and also concurrently served as the acting CEO. In April 2017, she was appointed Deputy CEO of Rwandair, responsible for Corporate Affairs. One year later, she was appointed as CEO. Haute Baso is an ethical fashion brand for the modern individual looking for thoughtful, simple and functional designs. It is centered around the belief that “two heads are better than one” using fashion as vehicle for positive change towards the empowerment of women and youth who are integral to its value chain while contributing to preservation of culture in Rwanda. It draws inspiration from Rwanda’s vibrant culture to collaborate and merge traditional methods with new techniques to create pieces that are timeless. This philosophy exemplifies the modern African fashion industry’s outlook on combining sustainability, technology, modern design and African craftsmanship to produce beautifully made, ready to wear fashion and accessories. Edwin Mukiza is the founder and CEO of formerly Union Trading, now Priority Rwanda LTD, a manufacturing firm that produces construction materials for the past decade. GLO CREATIONS is a handcrafts company that makes some types of hand-made products. It specialises in the batik which is a method of hand-printing, hand-dying on textile and providing unique, creative handmade products. The Company was established in February 2008, founded and fully owned by Gloria KAMANZI UWIZERA. GLO CREATIONS products range includes a clothing collection such as hand-dyed and printed tee shirts of all sizes from toddler to adult sizes; distinctive designer accessories like handbags and home decor accessories such as cushion covers, wall hangings, tablecloths and tablemates. Nathalie is the Next Einstein Forum (NEF) Managing Director. The NEF is driving Africa’s scientific agenda through the premier science and innovation conference on the continent as well organizing a coordinated Africa Science Week in over 30 countries. As part of making science more accessible, Nathalie is also Editor-in-chief of the the NEF’s public magazine, Scientific African Magazine. Nathalie is also the global communications lead for the African Institute for Mathematical Sciences (AIMS) Group. AIMS believes the next Einstein will be African. Prior to joining the NEF, Nathalie worked in the Canadian public service and international social media consulting before working to build the Government of Rwanda’s central communication unit as coordinator in the Office of the Government Spokesperson. Yambi Animations Studio creates animated content specifically targeting Rwandan children, but which children throughout the continent and the world can enjoy. Akaliza is a Rwandan IT activist and entrepreneur. She is active in promoting the field to girls and has been recognised for her activism by awards from the Rwandan government and the International Telecommunication Union. Kwizera is the founder of Water Access Rwanda, a social enterprise that is providing simple, affordable and durable water solutions in East Africa. She is a young Rwandan activist and social entrepreneur and a Mechanical Engineer graduate from Oklahoma Christian University where she did a research on purifying water using ozone. Clément has spent the last decade establishing and leading organizations that have delivered digital products reaching over one million Rwandans monthly. Clément has also actively participated in Rwanda’s digital development agenda through his involvement in initiatives that advance the ICT ecosystem and national ICT policies, currently serving as the Chairman of the ICT Chamber. He currently is the Country Director at Andela Rwanda since October 2018. Before that, he was serving as CEO of Irembo- an eGovernment service with over 15,000 daily users and as the Community Lead of umva.ai, which is an open source initiative to build tools for natural language human-computer interfaces for Kinyarwanda speakers. Stephanie Nyombayire is the Director General of Communication in Office of the President. She has elevated President Kagame’s communication output to a commendable level, swiftly and calibrated. Nothing is accidental, but planned and well executed. She has created and coordinated one of the most effective communication outfit around the Presidency. However, handling President Kagame’s image in a world that has projected extreme bad publicity and hostility is a job that required her not only to develop a solid strategy, and remain a smart and a clean executive that the job requires. Right Seat is the brainchild of the two women who see the value of liberation through career advancement and well-structured HR management in companies. They embarked on this entrepreneurial journey with a vision to play a big role in the rebuilding of their nation after the horrific events of the Genocide against the Tutsi. Right Seat was founded and established in 2015. The founders have a combined experience of over 20 years under their belt in human resource management from a variety of national and international companies in Rwanda. This wealth of experience together with understanding the importance of preparing the youth to maintain their competitiveness on the job market is the reason behind the services and programs currently offered at Right Seat. Despite having limited resources, the founders leveraged their deep experience in the human resources and staffing solutions industry into early success. By the second year of operations, Right Seat’s client list and staff number increased five-fold, and to date, more than 10,000 applications have passed through Right Seat’s recruitment process. The newly appointed Chief Digital Officer at the Bank of Kigali PLC, joins BK’s senior management team after having served as the first Chief Executive Officer of BK TecHouse Ltd, the Tech subsidiary of BK Group PLC where his work in the past two years earned him the 2018 All Africa Business Leaders Award (AABLA) as Finalist for East Africa Innovator of the Year. Ntirenganya founded Hermosa Life Tours & Travel. It is a competent Rwandan tour operator offering tourists amazing East African safari vacation trips and one-on-one experience in Rwanda with mountain gorillas and locals for more than five years. They specialize in wildlife safari tour in Rwanda that can be custom designed to suit your desire and requirement for an unequaled experience in the African land of beautiful hills and friendly wild. Apart from gorilla trekking safaris, their list of packages includes Rwanda wildlife safaris, cultural tours, educational trips and more to fulfill your dream for a prospective African trip. The company takes pride in serving through a team of highly knowledgeable Rwandan tour operators who can guide you and your group to the most splendid wildlife reserves and perfectly enchanting destinations of Rwanda, leaving an ultimate impression. Jelim Premier Events is a full service event production, brand and marketing consultancy based in Rwanda and Burundi that believes in a new way of driving growth. By fusing insights, strategy, creativity and imagination, they help clients uncover new ways to grow their brands and businesses. They produce events and offer a comprehensive consulting service for festivals, events and entertainment venues. From large scale consumer festivals and community celebrations to private corporate events and world class entertainment venues, they have a passion for creating memorable event experiences. Clarisse Uwineza Nzabonimana is a Certified Public Accountant registered with the institute of Certified Public Accountants of Rwanda (iCPAR). She was one of the charter staff members of Acacia Accounting when it opened its doors in April 2013. Since then, Clarisse has advanced in Acacia very quickly, passing her CPA exams and being promoted to Senior Staff Accountant in 2014 (Managing Director). Acacia Accounting is a socially minded outsourced accounting and financial service provider headquartered in Kigali, Rwanda. It offers best-in-class professional services based on years of Rwandan and international experience. Their clientele consists of foreign invested enterprises in various industries across Rwanda, including agribusiness, energy, export, INGOs, education, manufacturing, services, and others. If you are considering doing business in Rwanda, they can help guide you through the financial regulatory structure and help anticipate and solve the challenges you will face in doing business in Rwanda. Awesomity Lab is a software development company based in Kigali, Rwanda, founded two years ago. The name Awesomity stands for AWESOMe creativITY, with four co-founders. Awesomity develops solutions for more than 10 clients distributed across four countries in Africa. They specialize in building mobile applications and web platforms with their focus always being on creating the best user experience for clients. Originally, Awesomity wanted to be a software products company, where it wanted to create its own solutions for the Rwandan and African markets. In that regards they have successfully developed two products, an e-learning management system called Academia and an SRH platform for ladies called Umbrella. To get funding for these two products, Awesomity started as a software services company instead. This approach proved effective to generate revenue quickly. Now Awesomity has grown to become a software services and products company. Khenz Ltd is a Rwandan software company that fosters safety and convenience for travellers as a trusted, intelligent partner. It provides a digital ticketing platform that enables a quick and secure access to bus tickets for long distance Bus Operators. The same platform allows ensuring traveler’s safety on roads and tracking precious goods moving from one point to another in the public transport. The platform is available on different sales channels such as mobile (USSD,IOS and Android), online, next shop and bus premises. Muganga founded and runs an Information management system for schools and parents to easily monitor student performance and enhance better and informed decisions. The platform helps students, school managers, school owners, parents and students’ sponsors to make timely and informed decision. It also, among other services, provides the quickest and most accurate data processing to support registration of students, school staff, attendance, work and results, payments, mobile money payment, library check-in and check-out and generating related reports. Kajangwe is the Founder of WiredIn, an IT and Sofware development company in Rwanda and Japan. Wiredin is an early pioneer in IT outsourcing and the offshore software development business in Rwanda. For the past five years, it has helped Japanese customers balance their cost-performance parameters for IT projects via sustainable, short-term relationships with Wiredin. Its hybrid engagement model is designed to leverage the best of Rwanda and Japan so that customers are the ultimate beneficiaries. Their track record speaks to success; having so far been involved in a growing number of projects of small and medium size, both web and smartphone applications. Twahirwa is the founder and managing director of Gashora Farms, the country’s leading chili export firm based in Bugesera District. The company has contracts with more than 1000 farmers. The firm addresses challenges of post-harvest losses by producing chili oil (branded Didi’s Chilli Oil) and is exploring the expansion of its value-added product line with the production of pulp and chili powder. He recently won himself a deal worth over US$2 million to supply his products to China. Bobson Rugambwa is an entrepreneur, energy enthusiast and software engineer, with five years’ experience, passionate about affordable and sustainable financial and energy technology solutions for Africa’s bottom of the pyramid. Also, he is a co-founder and CEO of MVend Limited, a Fintech company in Rwanda, developing financial inclusion tools for the unbanked. Henri Nyakarundi is the CEO/Founder of Ared company and the winner of the “ICT for Social Good” Grant, organised by the Innovation for Development Programme. In Rwanda, Nyakarundi developed Shiriki Hub, a mobile solar kiosk, which offers customers a convenient low-cost solution to charge their phones, to browse the web and to have free offline access to digital content such as news and information on health and education. MUTANGANA, Social entrepreneur, Managing Director of FOYO Group Ltd, www.foyo.rw, a company that designed and developed FoyoM-health and “Napteker” www.napteker.com that is an African online systematic pharmaceutical directory in e-health. Alex Ntare is Chief Executive Officer of the Rwanda ICT Chamber where his work involves bridging the gap between private and public sector players in the ICT industry as well as overseeing and establishing new innovation centres for technology startups among them KLAB, Fablab Rwanda and a new Applied Research Labs. Kinuma knows how companies make a profit. The enterprise product manager and financial analyst, identifies profit maximizing strategies. With his solid financial acumen, interpersonal and decision making abilities, Emile is the CEO of Mobicash Rwanda. The company is a complete mobile payment platform that works immediately on any cell phone. Transactions are securely signed with NSDT™ (Near Sound Data Transfer), a technology that sends “cryptosounds” through the phone’s audio channel to enable contactless mobile payment. He earned a master of science, administration from the John Molson School of Business at Concordia University.